As we approach Mothers Day time is running out to get your gifts posted and received on time. At Scintilla Fine Jewellery we dispatch same day, for orders received up until 3pm weekdays and 11am Saturdays. Postage and gift packaging are free for UK customers and using Royal Mail First Class shipment we aim for next day delivery. To ensure your Mothers Day Gifts are received by Saturday March 5th we recommend placing your orders by Thursday March 3rd. 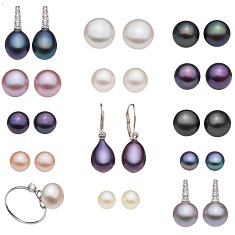 As a UK Pearl Jewellery specialists we stock the full range of pearl types from Cultured Freshwater Pearls to Akoya Cultured Saltwater Pearls, Biwa Pearls, Keshi Pearls, Baroque Pearls and Coin Pearls.